Dr Kelly Loi underwent medical training in the United Kingdom where she graduated from the University of Oxford. As a medical student, she completed attachments in the United States of America at the world renowned John Hopkins Hospital, Baltimore, and Massachusetts General Hospital, Harvard University, Boston. After graduating, she worked as a House- Officer in the John Radcliffe Hospital as well as the Churchill Hospital in Oxford. She started specialising in the field of Obstetrics & Gynaecology as a Senior House Officer in St Mary's Hospital, Imperial College, London. 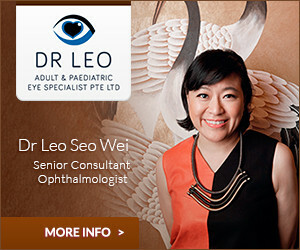 Dr Loi has been practising as an Obstetrician & Gynaecologist for over 10 years. During her time in KK Hospital in Singapore, she served as a Consultant in the Department of Reproductive Medicine and was also on the Teaching faculties of the Yong Loo Lin Medical School and the Duke Graduate Medical School. She was awarded an overseas fellowship to undergo advanced training in Belgium in fertility preservation for cancer patients, under one of the foremost experts in this field, Professor Jacques Donnez. Apart from having Ministry of Health accreditation to perform assisted reproductive care and in- vitro fertilization for patients, she is also accredited to perform advanced gynae- laparoscopic and reproductive surgery. Over the years, Dr Loi has developed particular expertise in antenatal and obstetrics care, gynecologic and laparoscopic surgeries, treatment of infertility and IVF. She has been actively involved in research in these areas and has presented papers on these topics at medical conferences both local and international. She has also authored numerous medical papers and has been invited to be a reviewer on peer- reviewed international medical journals in Obstetrics & Gynaecology. At the same time, her dedication to patients has won her Excellent Service Awards as well as the Long Service Award from KK Hospital in 2008. As the medical director of Health & Fertilty Centre for Women, she aims to continue to offer a dedicated obstetrics and gynaecology service to her patients, with state- of- the art facilities, in an environment designed with the patients' comfort and privacy in mind. The clinic logo symbolizes how the services cater to women of all ages, from adolescence to motherhood and beyond. On a personal note, she is a mother of three lovely children who occupy most of her time outside work. She is also an accomplished pianist with a Grade 8 distinction and a certificate in piano performance. However, these days, her repertoire is somewhat dominated by nursery songs and tunes.